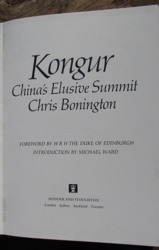 This is the first printing of the first UK edition of KONGUR CHINA'S ELUSIVE SUMMIT by Chris Bonington. This book was published in London by Hodder & Stoughton in 1982. 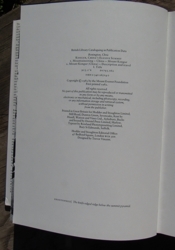 The book measures 250mm tall x 173mm, and has 224 pages, 59 colour & 86 b/w photos, 12 maps, index. 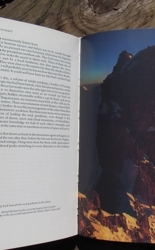 This is the account of the first ascent of Kongur (7716m) in western China by Chris Bonington, Peter Boardman, Alan Rouse, & Joe Tasker. The challenge was harder than expected involving cold climbing and very cold bivouacs, the summit being farther away from lower camps than anticipated. This is one of the more interesting Bonington expeditions since it involved considerable exploration of previously unexplored valleys, passes, and mountains, similar in many ways to the expeditions of Eric Shipton and H. W. Tilman. Michael Ward, Charles Clarke, Jim Milledge, and Edward Williams joined the expedition in a role of support and high altitude medical research. CONDITION: Original black cloth, silver lettering spine. The book and dust jacket are in fine condition with no previous owner marks or writing on any pages, no foxing, clean, never used. The book is in unread, fine condition having been purchased directly from the publisher and kept in climate controlled storage for years. Price: $20.